When a show is as timeless as Doctor Who, amazing things can happen; and when you have a mother who grew up on Old Who as I did on New Who, sparks fly. ME: Looking at the newest series of DW, every true-to-the-show Whovian has anticipated what the new Doctor will do next, having rewatched the previous seven seasons with bright and hopeful eyes, wondering where The Doctor and his TARDIS will take us. MOM: Who on Earth has time to REWATCH the entire show? MOM: Only because they don’t have to get up at 6am every morning. ME: We’re the generation of night owls, and in preparation of the New Doctor, Whovians everywhere have traveled back in time to the very first season of New Who with Eccleston at the wheel in order to highlight the best and worst of The Doctor’s “non-linear, non-subjective wibbly wobbly timey wimey,” adventures. MOM: Which one said that? Wasn’t it your favorite Doctor? ME: I’m surprised you remembered! Yes, that was David Tennant. Speaking of favorite Doctors, your favorite aka the era of Eccleston not only marked the rebirth of a fifty year old fandom, but also enlightened a new generation of teens and young adults to the scientific magic that is an 800 year old time lord. MOM: Isn’t he over 1,000 or 2,000 now? ME: Well it’s hard to pinpoint exactly how old he is because of the whole time travel business, but I think he’s around 2,000 now…However, Eccelston was a youngin so we’ll estimate about 800 for him. MOM: And how do you know these things? MOM: Wait! What? How can you skip over Nine? His story is an important step to show his growth as a person. ME: Calm down, mom. 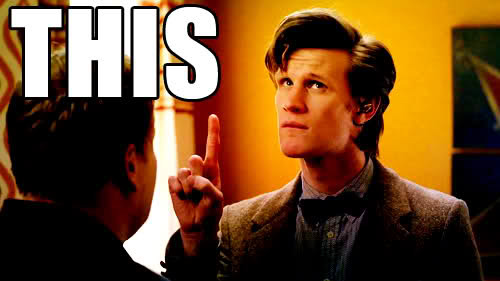 I agree, the relationship between Eccleston and Piper is completely necessary in the eyes of any Rose-Doctor shipper. MOM: What even is a shipper? Are we talking about pirates or Doctor Who? ME: I’m speaking in fangirl-talk for my followers. A ship is a couple you think of as in a relation‘ship’. get it? MOM: Well then why not just say they’re a couple? ME: Because there’s a lot more terminology like OTP and Cannon that makes more sense with the ship dialogue…Don’t worry, I’ll explain it all later. As I was saying, you may share in the opinion that the Tennant-Piper dynamic was more lively and entertaining than Eccleston, yet seeing where it all started is what sparks the interest of any individual who claims to be Rose-stan…That’s someone who is a fan of Rose no matter what she does. ME: And in order to fully understand the progression of any character in this series, you must follow the golden rule; watch their storyline beginning to end. Though moving forward may take less time, you lose the non-linear progression of The Doctor’s insanely twisted storyline if you try to skip episodes. MOM: But why would you even want to skip episodes? They’re all so good! ME: Well not all of them…One thing we can all agree on, is the horrendous quality of special effects in the first two seasons. MOM: Even then, the special effects were light years ahead of Old Who. ME: I’ll take your word for it since I haven’t seen any of them. 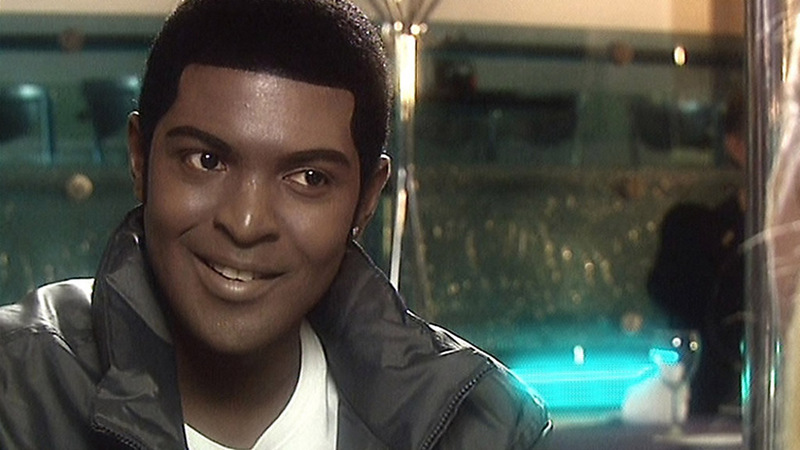 Still, no one questions the idiotic and unconvincing mannequins that doubled as secondary characters such as Mickey in the first season, or the Slitheen, which look more like giant green babies than a terrifying race of aliens. MOM: Haha! I never thought of them like that…Compared to Old Who they were practically realistic. ME: I never would have thought that. I think we can all agree that if the special effects were still that atrocious, we would have stopped watching several seasons ago. This progression of special effects throughout the series is, of course, made possible by the show’s unexpected jump over the pond. If it weren’t for the show’s growing popularity in the United States, we may still see the Cybermen as nothing more than a little kid’s cardboard cut-out. Thankfully, funding matured along with the show’s writing. “Upgrading is compulsory,” and DW’s rise to fame is just what The Doctor prescribed. MOM: Some of us have been watching all along, but I can understand how viewership went up with the new series. ME: As we look ahead at the series one Christmas Special, Eccelston is booted off the show and The Doctor regenerates into a man who many Whovians consider their favorite Doctor, Tennant. ME: I know, I know; he’s your favorite. But with the introduction of Ten, the show took on a new life and introduced us to a quirky, younger Doctor who could dish out as much sass as he was dealt. MOM: Nine had his sass…remember the “are you my mommy?” episode? ME: I’ll give you that…he was pretty darn sassy in that episode. In the show’s prime, we took turns worshipping The Doctor’s dynamic between Piper and Tate. Rose and Ten became an iconic couple to be reckoned with across time and space, while the impenetrable friendship of Donna and Ten made us laugh till we dropped. With two powerhouse females at the companion lead during Tennant’s reign, it is no wonder fans found themselves in a vortex of confusion as the writing team changed and Tennant’s time as The Doctor came to an end. MOM: The writers seemed to be going back to the early years of the Doctor where the “companion’ was just that, and not anywhere near an equal as were Rose Tyler, Martha, and Donna. ME: Hmmm I guess that makes a little sense; however, the show should progress alongside society. 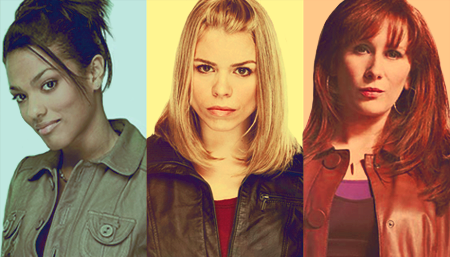 With the emergence of the young Smith as the newest Doctor, we see a decline in female importance in the show. MOM: They still have female companions though. ME: Yes, that’s true; however they aren’t really important and at the forefront of the show like Donna and Rose were. Many Whovians attribute this deterioration in female prominence to the exchange of writers. With the move from Gatiss and Davies to Moffat, we get to the biggest hot topic on every Whovian’s mind; has Doctor Who become sexist? MOM: I’m surprised you know all of their names. ME: Well I youtube the InsideWho extras and watch all of the actors’ youtube channels in my spare time, so it’s easy to remember their names when you see them all the time. MOM: I guess because I grew up with Old Who, where the companions were basically arm candy, I never noticed that change. ME: Even the strong-minded River Song-who many young women look up to, is on the show for the sole purpose to belong to The Doctor. Though she has quite her fair share of screen time, she unfortunately barely passes the Bechdel test at 57%, and that fades down to the low 40s after series five. MOM: What’s the Bechdel test measure? ME: It asks if a work of fiction features at least two women who talk to each other about something other than a man…While previous series companions passed with flying colors- Rose at 74%, Martha at 78%, and Donna at 100%, companions in the Moffat era seem to lack the wherewithal and gusto that makes them unique and more than merely a prop for The Doctor to play with. MOM: That’s a little harsh, don’t you think? ME: Harsh but realistic, at least where the fandom is concerned…With the death of another Doctor, Whovians everywhere are holding their breath to see where the story will lead us. With Capaldi taking the lead as the New Doctor, many Whovians seem to think he has what it takes to stand up to Moffat and put this show back on the right track. With the new series staring up, and rumors flying that Capaldi refuses to allow the show to follow down its current trail, Whovians around the world will be tuning in to see whether or not the show is still salvageable from its sexist downward spiral. MOM: It’s a little weird seeing the Doctor go from young and playful to older and wiser, but it should be interesting to watch! ME: I agree! 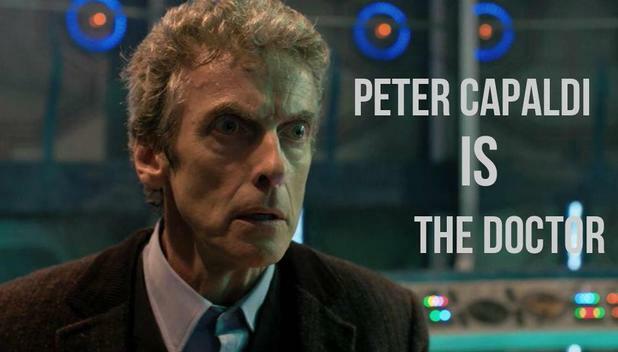 From what I’ve seen of Capaldi’s previous work, he’s hilarious! I think we’re going to see some great changes coming our way.